For a “How I Wear My” post in February, how could Adrienne of The Rich Life (on a budget) and I lose with lace? And judging by its appearance in magazines and on runways lace is hot right now, but does it ever really go out of style? I like using lace as a way to add texture to an outfit, especially an all-black ensemble. I also like seeing lace in unexpected ways, such as this long black cardigan by Rodarte for Target. My favorite way to wear it is with a white T-shirt and jeans. A lace roundup in a recent issue of Harper’s Bazaar. I want every single thing on this page. Check out this month’s participants for some inspiration on how to either add lace to an outfit or make it the whole point! Adrienne of The Rich Life (on a budget) in a Hanky Panky white lace camisole, thrifted tuxedo jacket, and skinny jeans. Let’s have a closer look. I love the masculine-feminine juxtaposition, with the tuxedo jacket paired with a lace camisole. 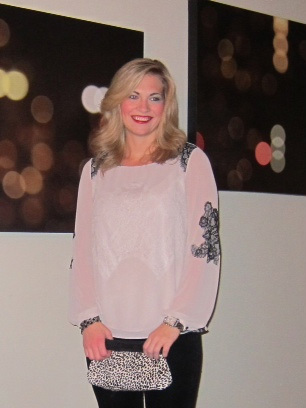 Amy of Lowcarbhighstyle in a beautiful Ann Taylor white blouse with delicate black lace overlays on the sleeves and at the shoulders. White, black, sheer sleeves, lace and a leopard clutch? Perfection! 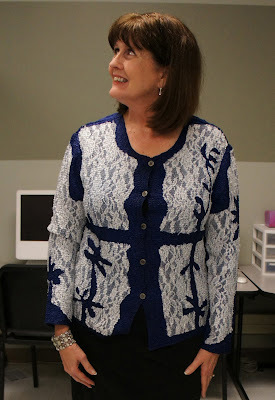 Pam of over50feeling40 in a gorgeous and unusual Joni B. blue sweater with white lace overlays. Wow! Let’s move in. I love the pairing of blue with white. This is one of those garments I would want to turn inside out, to see how it was made. Did I mention she bought this on sale for $25? And to top it all off, Pam accessorized this jacket with a glamorous cuff. Tori in a Forever 21 ivory lace dress. I love how she has slightly toughened it up with a faded denim jacket and then added those elegant strands of pearls and chains. Veronica in a rose-beige lace top by Forever 21. 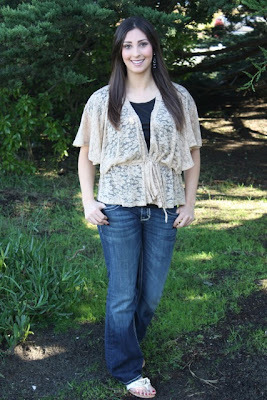 This has a wonderful casual-but-romantic feel to it and here’s another gal after my own heart, pairing lace with jeans! For March, won’t you take a look in your own closet and pull out something you just love, something you can’t imagine living without? Adrienne and I are on a spending freeze for February (pinky swear!) 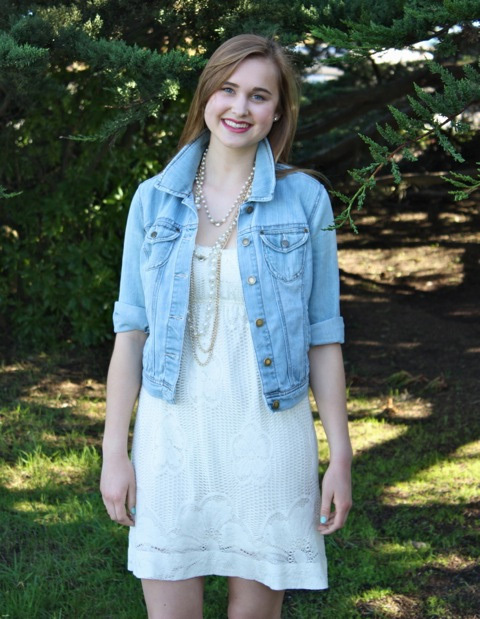 and want to focus on pieces we already own so next month’s post will be “How I Wear My: Most Cherished Wardrobe Item.” Send Adrienne or me a picture of yourself in the piece you treasure above all others and we will include you in our post on March 1! 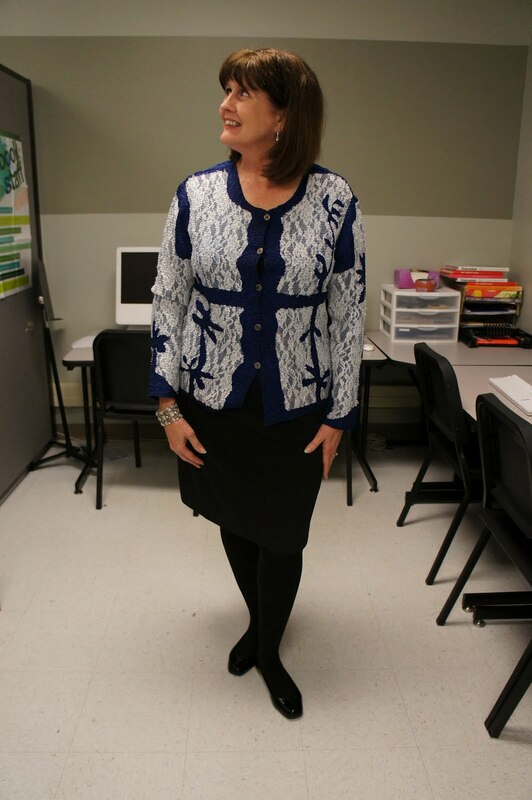 And do head over to The Rich Life (on a budget) to see more ways Adrienne is wearing lace. You look gorgeous in lace, my dear Jill. Why don´t you do a link up, like EVERYBODY EVERYWHERE type??? 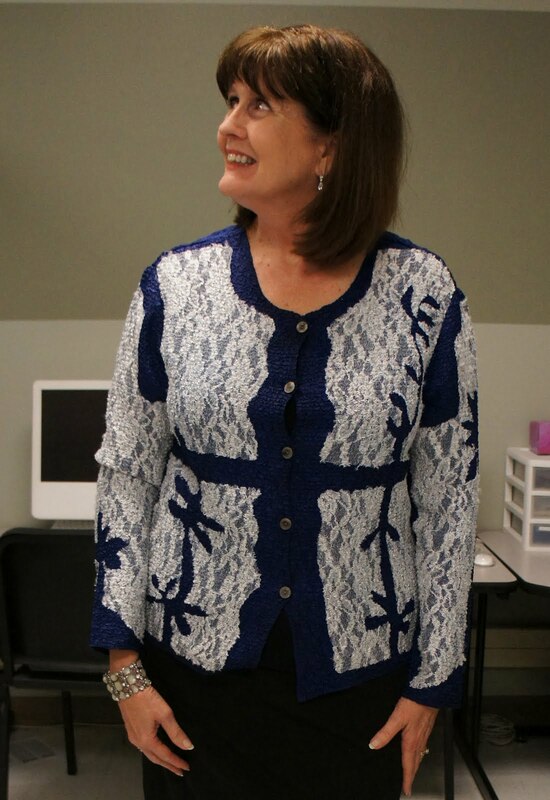 I love your cardigan, Jill! All the ladies are gorgeous and it was fun to join in! What a beautiful and delicate cardigan you found. I can't believe it came from Target! Another fun month of "How I Wear My". Next month will be our fifth installment! Can you believe that? Thank you for hosting this month, Jill. What a great post. I adore lace. So feminine. You look great in your black lace cardigan. I don't think lace does ever go out of style. I have a few staple lace pieces I love to put into different outfits. Lace can be tricky, as Pam noted but all of you look fantastic! Sorry I missed this Jill! Jill--I really, really like the way you've styled the lace with the white. As I told Pam, I'm really wary of lace at my age and literally had none to work with for this challenge. Will you and Adrienne do future challenges? My right knee absolutely perfect, at last, but now my left one what to be pet, lol, so I had a scan yesterday to see if the meniscus is broken too. Thank you so much for caring, my dear JIll.